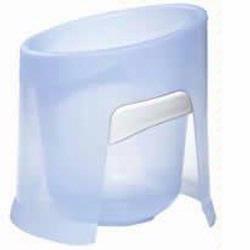 The Prince Lionheart Washpod is a warm and secure place to bathe baby. This brilliant pod provides a safe and secure environment, similar to that inside a mother’s womb. The Prince Lionheart Washpod is recommended by physicians and midwives as one of the best ways to bathe your newborn baby.